Persian cats have become the rock stars of the feline world ever since they were featured at the very first modern cat show in England, held at London’s Crystal Palace in 1871. Of course, these fluffy cats came to existence much earlier, but it wasn’t until the end of the 19th century that Westerners fell in love with the breed. The Persian cat is one of the most popular breeds in the world, and they are held in particularly high esteem because they are kind-hearted felines who are happiest when they spend time with their loved ones. 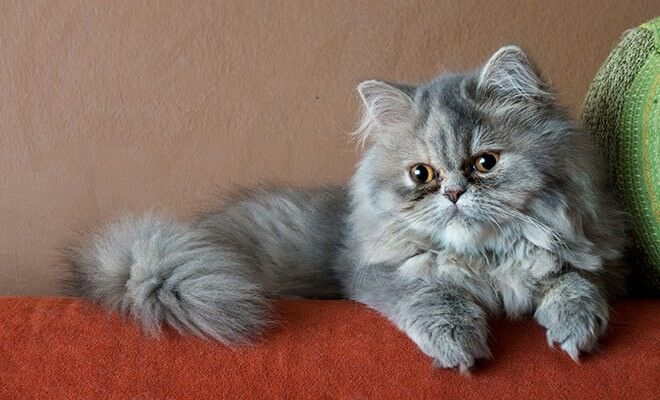 Persians are perfect pets for people who are looking for a placid breed that won’t be as active as the average cat. However, just because they aren’t the most curious of cats doesn’t mean that they don’t enjoy playing with their humans and exploring their surroundings. Persian cats are somewhat timid and need time to get to know their new family, but once you earn their trust, these flat-faced cats will love you to the moon and back – and they will expect the same in return.